The American Society of Plastic Surgeons (ASPS) annually releases the statistical report for the cosmetic procedures performed in the country for the particular year. The data sheet mostly includes the total number of procedures performed in each category, top procedures, male and female trends in procedures, and region-wise trends among other details. 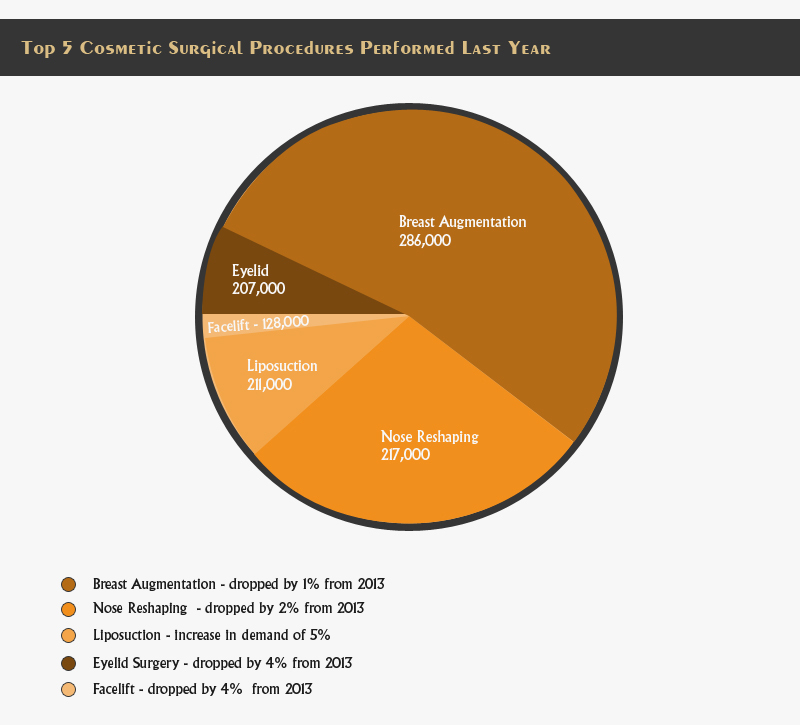 ASPS has now released the statistical report for 2014 and highlighted the top 5 cosmetic surgical procedures performed last year. According to the report, breast augmentation is the top most procedure on the list even though its demand dropped by 1% from 2013. A total of 286,000 procedures were done in the category. Following breast augmentation, nose reshaping secured the second spot and its demand also dropped by 2% from 2013. Altogether, there were 217,000 rhinoplasty procedures performed in 2014. Liposuction ranked third in the top 5 procedures but with an interesting increase in demand of 5% considering the figures for 2013. A total of 211,000 lipo procedures were performed in 2014. Even though its demand dropped by 4% from 2013, the fourth most popular procedure in the list was eyelid surgery. 207,000 procedures were performed in that category. Facelift also dropped by 4% in demand from 2013 but was the 5th most popular cosmetic procedure in the US last year with about 128,000 procedures in 2014. 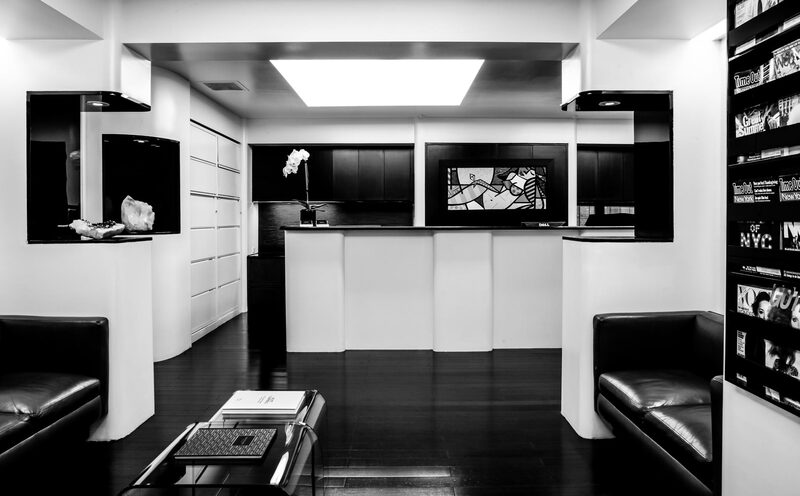 According to the report, 1, 677, 47 cosmetic procedures were performed in the US last year. From the figures for 2013 (1,668,420 procedures), it showed a 1% rise this year. Considering the figures for cosmetic minimally invasive procedures, Botulinum Toxin Type A ranked first followed by soft tissue fillers, chemical peel, laser hair removal and microdermabrasion in that order.